Highland Hair Salon is proud of our adept skill and hospitality. Toshiko Suyama, an expert hair dresser, learned her cutting and styling skills overseas. 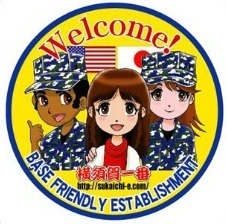 Her customers are not only Japanese, but also, people from all over the world. She can also speak basic English. Visit and experience the comfort of the Highland Hair Salon. Toshiko's cutting skills are based on her experience in the UK and her career as a beautician spans over 40 years. If you have any concerns with your hair, please do not hesitate to ask. Toshiko's shampoo is soft and gratifying. Many other salons tend to use mass produced, basic shampoo, but not at Highland Hair Salon. Here, Toshiko will treat you to a premium shampoo treatment with her dexterous care. Please try out this experience! Shampoo, treatment, and other products that Highland Hair Salon use are SHISEIDO. You can get your scalp treated and your hair moisturized by these professional hair products. Highland Hair Salon's hair treatment is reasonable, but high quality. Adept skill and many kinds of treatment are important; however, among these, Highland Hair Salon believes that hospitality is to be valued the most. If you have never been to hair salon in Japan and are nervous about visiting, Highland Hair Salon welcomes you and hopes to relieve your worries. I had my hair cut, shampooed, and treated. I was really moved by her shampoo treatment. I've visited many hair salons before, and Highland Hair Salon's shampoo treatment is the best. I'm satisfied with my finished hair style because Toshiko cut my hair really well. I'd like to visit there again.